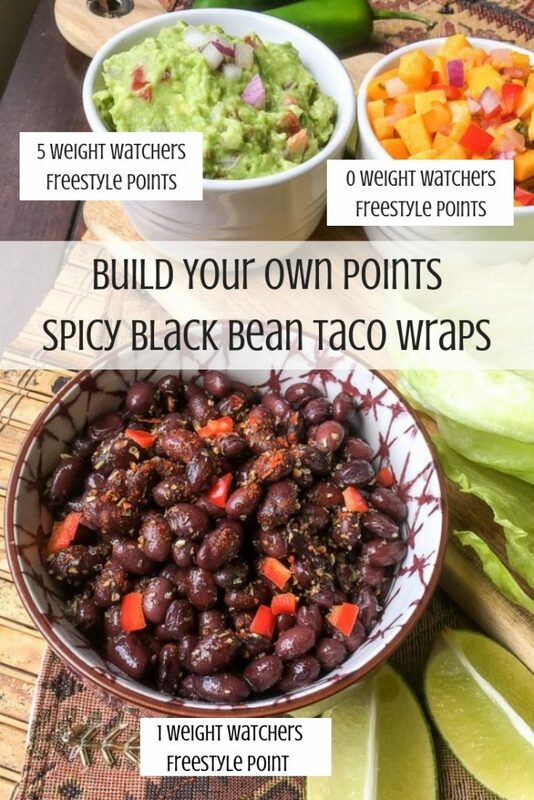 These vegetarian spicy black bean taco wraps are perfect for Meatless Mondays or anytime you need a low point Weight Watchers Freestyle meal on the table in around 20 minutes. 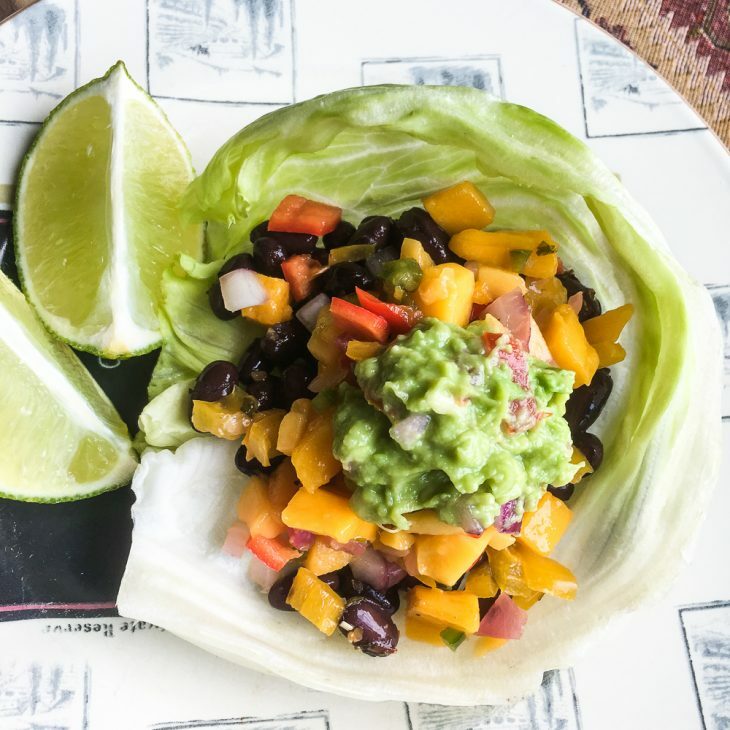 Plus, the black bean taco filling and wrap comes in at just 1 POINT without the guacamole, add guac and it’s only 6 points! Heat olive oil in a skillet over medium heat. Add beans, water, cumin, chili powder, smoked paprika, cayenne, and Mexican oregano. Season with salt and black pepper, to taste, and stir to combine. Cook, stirring occasionally until the beans are warmed through and the spices become fragrant around 4-5 minutes. Remove from heat and set aside. While the beans are cooking, mash the avocado in a small glass or other non-reactive bowl. Add tomato, lime juice, and jalapeño. Season with salt and black pepper, to taste, and stir to combine. Set aside. 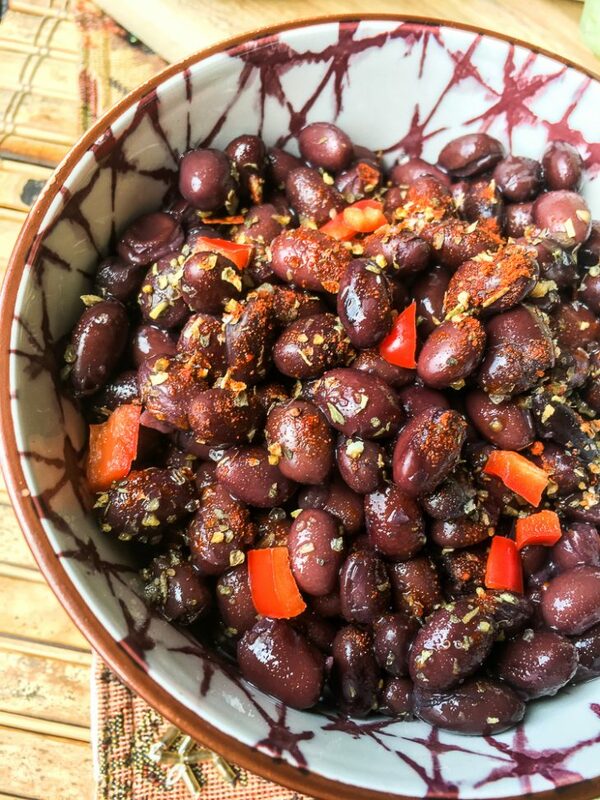 Transfer warm beans to a bowl and add diced bell pepper, if using. Sprinkle with additional spices, if desired. 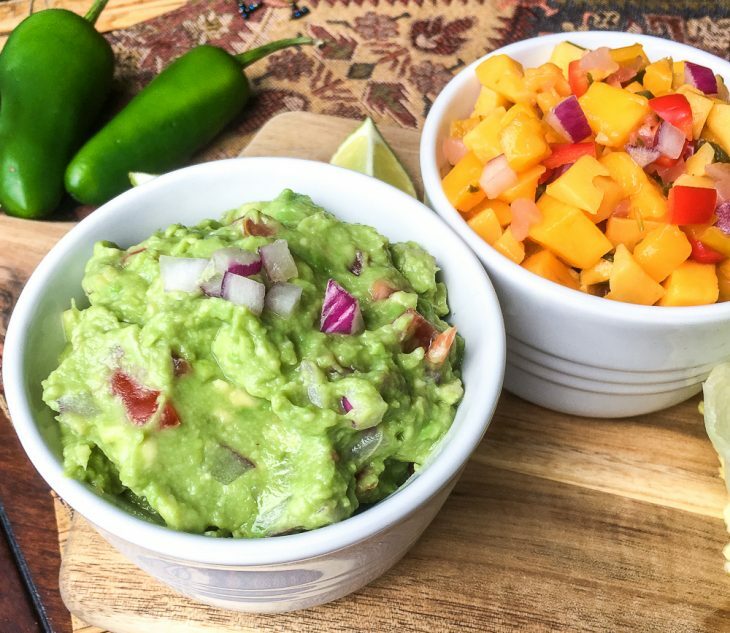 Serve immediately with large lettuce leaves for wrapping, along with fresh guacamole and this spicy mango salsa. Enjoy!